Celebrate the special people in your life with a tribute gift that has lasting impact on area children and families. Make a donation on behalf of a loved one, friend or acquaintance for any event or occasion: holiday, birthday, anniversary, memorial, special recognition or other milestone. The recipient(s) will receive a special, printed card acknowledging the gift made in their honor or in memory of their loved one. Gift amounts are not disclosed. Acknowledgement cards are sent for each gift. You will receive a letter/receipt for tax purposes. If you are a business owner you may want to consider corporate honorariums to honor or recognize employees or customers. Customized cards, including logos, are available for corporate honorariums. Acknowledgement cards are sent for each gift. You will receive a letter/receipt for tax purposes. If you wish to make a tribute gift, please email reception@careforchildren.info or call 814-362-4621. Cards are sent out immediately upon receipt of your request. You may also download the printable form and mail in your donation. Please send tribute gift donations to: CARE for Children, P.O. Box 616, Bradford, PA 16701. Please indicate in the memo line “tribute gift”. For online donations, use the “Donate Now” link. Please visit the CARE News for a listing of memorial and honorarium gifts made to CARE for Children. Gifts may also be kept anonymous. Local Artist, Sean Huntington, painted a beautiful work of art to commemorate CARE’s 80 anniversary in 2004. 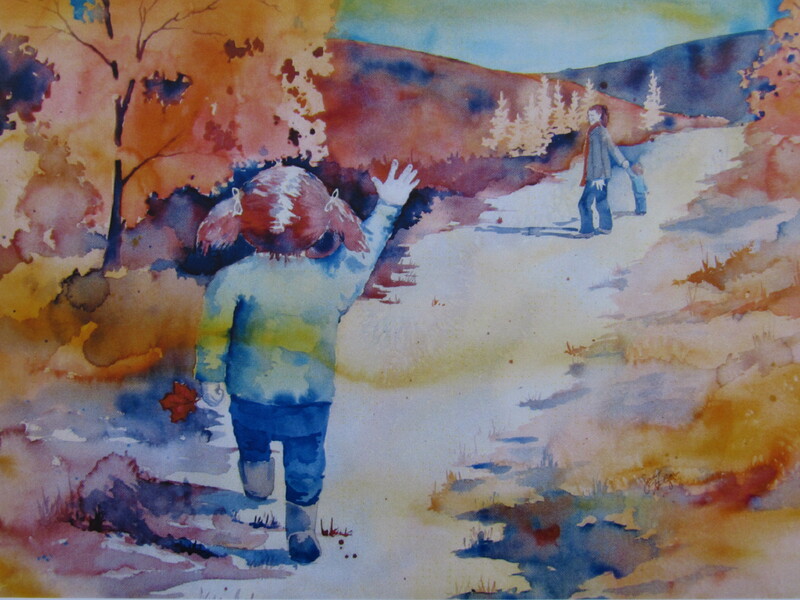 “Reaching Out” depicts a little girl who does not want to be left behind which is indicative of CARE’s mission to help children realize their potential. CARE now utilizes this image for our professionally printed memorial cards or you may choose a simple message on a plain white card.